We are pleased to share with you our TRAUB monthly news roundup from March 2019. Glossier, Rent the Runway and Casper become unicorns, Hudson Yards opens, Tom Ford becomes the new CFDA chairman and more! In March we saw high activity across the public and private markets. We saw several large capital raises from the later stage digital native brands in cohorts 1 and 2 (For reference see our New Davids report here). Female founded startups Rent the Runway and Glossier both became unicorns in their most recent funding rounds, raising $125M and $100M respectively. Casper also raised $100M at a $1.1B valuation amid IPO rumors. Other funding rounds this month included: Bandier ($35M), personalized wine startup Bright Cellars ($8.5M), influencer marketing tool Tribe ($7.5M) and audio platform Serial Box ($4.5M). Separately, the Tory Burch Foundation raised $100M from Bank of America, to extend affordable loans to women-led businesses. As it relates to exits, Airbnb acquired Hotel Tonight for an estimated $500M to extend its travel portfolio and Gap acquired children's brand Jack and Janie for $35M. Ascena sold a majority stake in women’s chain Maurices and Eurazeo sold its stake in Moncler. In the public markets, Levi Strauss went public on the NYSE, valuing the company at $6.6B. Its stock price soared 30%+ on its first day of trading and the company is now valued at ~$9B. A high profile IPO - Lyft went public on NASDAQ, raising $2.3 billion from investors, valuing the company at $24 billion. This month we also saw the opening or progression of several exciting retail developments around the world. 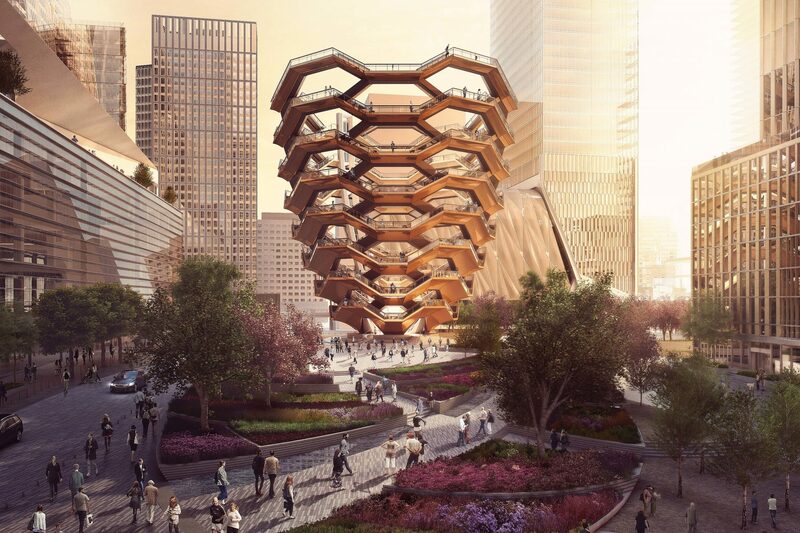 Most notably, Hudson Yards, a new neighborhood in NYC and the largest private development in the US opened to the public. Thousands of locals and tourists alike have been visiting the new neighborhood which includes a retail space, fine dining, observatory deck, centerpiece sculpture called The Vessel, the first Equinox hotel (coming this fall) and more. Estimates for traffic on the first Saturday ranged from 60,000 to more than 80,000 visitors. Another massive development set to open this Fall 2019 is the American Dream in East Rutherford, N.J. Ken Downing, former SVP and Fashion Director of Neiman Marcus, left the company after 28 years to become Chief Creative Officer on this project. In Paris, Galeries Lafayette opened a new location on Champs-Elysées. The 70,000-square-foot flagship celebrated its arrival on the “most beautiful avenue in the world” by throwing a Champagne-flowing mega bash opening night. Finally, Chanel opened its first flagship in Seoul, South Korea, and welcomed Pharrell Williams to debut the long-anticipated capsule with the luxury house. Several brands announced new partnerships and product categories. Glossier revealed a new makeup line called Glossier Play. The new line is centered around color, and creating bold, dramatic looks with four debut products: eyeliner, lip pen, highlighter, and glitter gel. Rent the Runway announced its launch into the home category, and partnered with West Elm on a pop up at SXSW. KITH and Estee Lauder partnered on a limited edition natural beauty line and Harry's and Heyday partnered on a co-branded face mask for men (Check out the Guardian's take on men and wellness and what we can expect to see in the future). Finally, Tom Ford was voted chairman of the CFDA, succeeding Diane von Furstenberg, who held the position for 13 years and Andrew Rosen steps down as CEO of Theory after 22 years. If you don't already, follow us on Instagram @theretailsafari as we highlight some of our favorite brands and concepts and take you with us on our retail safaris in NYC and beyond.